Want 10,337 to contact you? Lot Size 25' x 66.67' — Irreg. 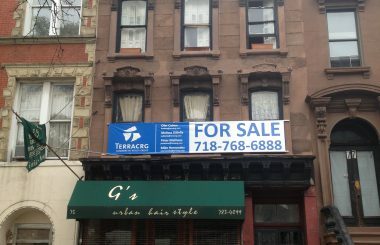 TerraCRG has been retained to exclusively represent ownership in the sale of 1057 Fulton Street in the Clinton Hill neighborhood. This offering represents a rare opportunity to purchase a vacant corner property on a strong retail corridor with several development options, ranging from condo conversion or high rental gut renovation to a day care facility, as per the existing certificate of occupancy. 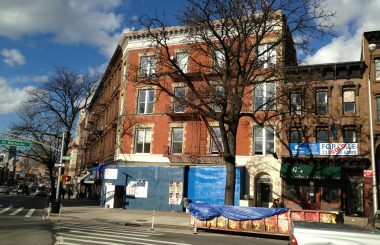 Located on the corner of Irving Place and Fulton Street, the four-story building consists of a first floor and basement built full that combine for approximately 2,955 SF. Additionally, the building contains approximately 7,382 of upper floor square footage that could be used as residential. The property benefits from having an existing certificate of occupancy allowing for a day care facility to occupy the basement, and first three floors, as well as an accessory office on the fourth floo. As a result of shortage of quality for-sale housing options, condo pricing in the area is reaching the $1,100/SF level, and the residential rental market is exceeding $55/SF. Townhouses in the neighborhood have been achieving prices well over $2 million. The property is only three blocks from the Franklin Avenue C supway stop, making the commute to Union Square just 25 minutes. Celebrated for it’s diversity of people, restaurants and activities, Clinton Hill caters to students and ambitious professionals alike. The neighborhood is centrally located between Downtown Brooklyn’s Fort Greene, Barclays Center/Atlantic Terminal and brownstone rich Bedford-Stuyvesant.